(a) Information that you provide by interactions on our site www.creatvityis.me (our site). 2.2 We may conduct direct marketing via email, direct mail, telephone and other means of communication or send e-newsletters to you. You may choose not to receive promotional materials, by simply telling us (see below for contact details), and we will cease to do so, without charge. (b) Targeting cookies. 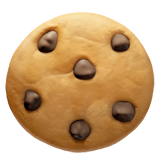 These cookies record your visit to our website, the pages you have visited and the links you have followed. We will use this information to make our website and the advertising displayed on it more relevant to your interests. We may also share this information with third parties for this purpose. 3.5 You block cookies by activating the setting on your browser that allows you to refuse the setting of all or some cookies. However, if you use your browser settings to block all cookies (including essential cookies) you may not be able to access all or parts of our site. 5.1 By using our service, making an application or visiting our website, you consent to the collection and use of your information and other activities as outlined in this Statement. All rights reserved 2018. 原來我 Creativity is.